…whose mission is the safe elimination of domestic violence through intervention, prevention, and collaboration. SOCIAL CHANGE? What does that mean? Social change refers to the progress in the social order of a society. It begins in the thought processes of humans. In the case of the HOPE Center, it refers to the Domestic Violence movement and its part in the Civil Rights movement. Social change may be driven by cultural, religious, economical, or technological catalysts. It is sustained by growing the number of people who recognize the need for change and the number of people who advocate for change. In order for social change to occur – all segments of society must engage in thoughtful and purposeful activities. In Pennsylvania, the domestic violence movement began with a small group of women who met around a kitchen table – nearly 40 years ago. 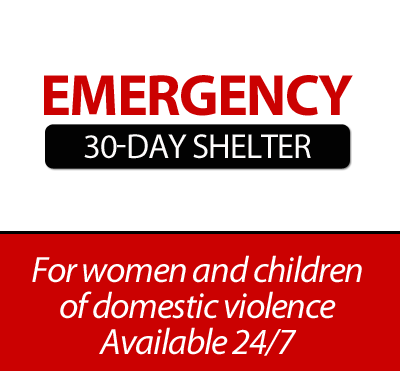 In those days, there were no domestic violence services and much of society considered violence in the home – a private family matter. In 1976, those women joined the collective voice of others from across the Commonwealth to advocate for the passage of domestic violence law and build a network of committed advocates. These early successes created the foundation for the first domestic violence coalition in the United States. HOPE serves the communities of the Alle-Kiski Valley in southwestern Pennsylvania and has been providing free and confidential services to survivors of domestic violence for nearly 35 years. In that time, HOPE has provided services to more than 80,000 direct victims – but providing services is not enough. Imagine a time and a world in which there are no victims. 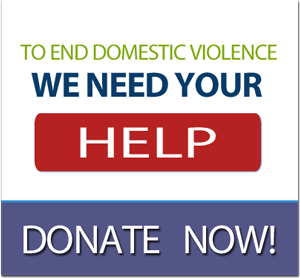 Because domestic violence finds its root cause in the institutionalized violence against women, the elimination of domestic violence hinges on society’s ability to change. The domestic violence movement – like many social change movements throughout history – has been viewed as a “women’s issue”. While dedicated advocates have experienced incredible progress over the past four decades, true and lasting social change will only take hold and flourish when all of society is engaged, committed, and dedicated to change. Domestic violence does not occur in isolation between the victim and the batterer, it touches the lives of family, friends, co-workers and communities. In 1991, a group of men in Canada began The White Ribbon Pledge. The pledge means, “that you will never, take part in, condone or remain silent about domestic abuse.” Over the past decade, increased efforts have been focused on the inclusion of men in the domestic violence movement. Acknowledging that men can be victims, too – they can also be advocates and allies in eliminating domestic violence by joining the collective voice to create social change. HOPE has recently become aware of and acquainted with an ally who has begun his own campaign to support services for survivors of domestic violence. In doing so, he has become an agent of social change. Beards Against Domestic Violence (https://www.facebook.com/BeardsAgainstDomesticViolence ) encourages donations for HOPE, as such, he will not shave his beard until he has raised $5,000. Through a recent update, we found out that he may even “auction” the privilege of that first shave. This is just one example (a very creative example – nonetheless) of how committed individuals can use their passion and creativity to foster social change and “pay-it-forward” for the next generation. KUDO’s – Keep growing our support! Peace and equality – now that’s a legacy worth leaving. Contact us – if you would like to become an agent of social change.